This performance was rung in memoriam — Judy Couperthwaite. First submitted Sunday, 1 July 2018 at 13:00:21 by Ian Redway. 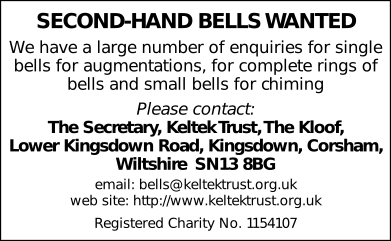 Sent for publication in The Ringing World on Sunday, 1 July 2018 at 13:00:32, and printed in issue 5603.